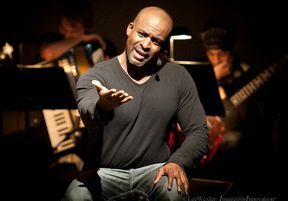 Bain’s theater productions critique what race, prisons, poverty and privilege mean in America today and the increasingly visible injustices in the U.S. criminal system. A one-man show, “Lryics from Lockdown” tells a story of survival that reveals how the justice system can radically change a young person’s life. The production weaves together the voices of more than 40 characters and is performed as a fusion of hip-hop, theater, spoken word, rhythm and blues, comedy, calypso and classical music, featuring a live band, beat boxer and video DJ. The 2018 Los Angeles Theater Awards celebrate excellence on the Los Angeles stages in venues of 99-seats or under. This fourth annual edition included productions that opened between Jan. 1, 2017 and May 31, 2018.